Combining traditional video game sword fighting with professional poker may seem unusual. However, a game called “Sword and Poker” managed to successful mix together the two worlds and create an incredibly popular video game. The game can be thought of as a hybrid of playing regular Texas Hold’Em Poker and enjoying a role playing game with sword fighting. Sword and Poker came out in 2010, with a sequel following a few months later. However, the two games did not last long. They were removed from Android and Apple app stores by early 2011. Since then, the games have endured a long history of vanishing and resurfacing on app stores for various mobile platforms. When the parent company TouchArcade was contacted for explanation, they would remain mum. Despite that unusual behavior, it is clear that these games are a bona fide hit. For that reason, Konami has decided to invest in the franchise and release a third version of the game, titled “Sword and Poker Adventures”. The game will be started off on the Singaporean market, with further launches planned in the coming months. The game is said to be a major graphics and game play upgrade from previous versions. The game involves having to defeat several “bad” characters, not through sword play, but by beating them at poker. For example, if you get a four of a kind, you automatically defeat the monster. Getting a pair or a double pair only gets you a certain number of points, which have to be totted up in order to defeat your enemy. The game is a highly addictive experience, with users claiming that they could keep playing Sword and Poker Adventures for hours at a time. The game was recently demoed at the World Wide Developers Conference, where several smartphone, tablet and computer games are showcased. At this event, users were very pleased with the game’s experience. 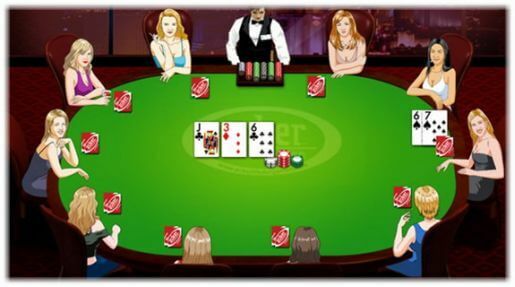 Despite a few unusual rule changes, such as timers on the free poker games, the game is said to have received positive feedback. Konami is hoping that a move for Sword and Poker will help them establish a base in the Asian smartphone gaming market. In April 2014, the UK Parliament passed the Gambling Act, which will be the new ‘point of consumption’ or POC regulatory framework for remote gambling activities including online poker. This new act will change quite a lot for white market operators who are likely to apply for a UK license soon. Another significant change is that the operators will not be able to select the regulator like they could before. The new UK licensing regime will have a significant impact on the white as well as the grey markets in Europe and around the world. In fact, the impact of this new licensing regulation on the future of online poker is highly underestimated. According to reports, online poker sites that apply for this new UK License cannot cater to grey markets any more, which means they are likely to lose a huge share of the online poker market. A number of players in countries and regions where legality of online poker is questionable will lose access to some of the biggest online poker rooms. The UK Gambling Act makes one point very clear: whether you are an online gambling operator, a casino software developer, or a casino equipment supplier, if you are serving UK citizens, you must have a UK license for remote gambling. At present, the UK is the most evolved and developed gambling market in the world. The UK online poker market was evaluated at $559 million or £329 million, while the entire gambling industry in the UK was valued at £2.5 billion. The revenue of top poker site PokerStars was around £100 million in the UK alone. 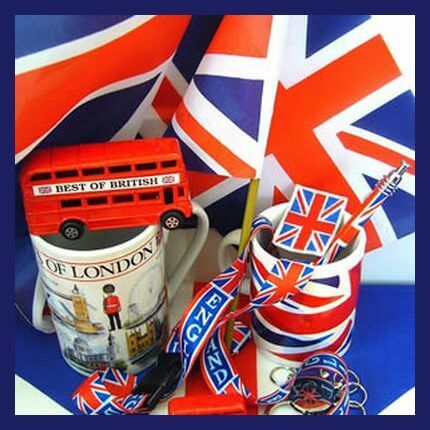 Even though the UK market only constitutes 8 percent of the global gambling market (US gambling market is 10%), experts believe that any online or remote gambling operator willing to serve only the white markets should consider entering the UK. The UK Gambling Commission’s ultimatum to remote or online poker and gambling operators is clear—if they wish to serve the grey markets, they should exit the UK market. The new changes in the UK regulation will result in polarization of the online poker market. Due to this, the major online poker sites will choose to go with the new UK regulation, for the UK market is too important for them to give up. 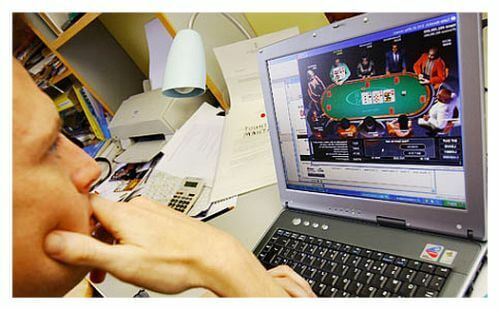 Online poker has become a staple for many gamblers in the United Kingdom, with players being able to access games from their personal computers, smartphones and tablets. This accessibility ensures that players can play games 24/7, no matter where they are. The only thing required is an internet connection and funds in your account with a specific website. The major players for online poker in the United Kingdom are William Hill, Ladbrokes, 888 Poker and Sky Poker. 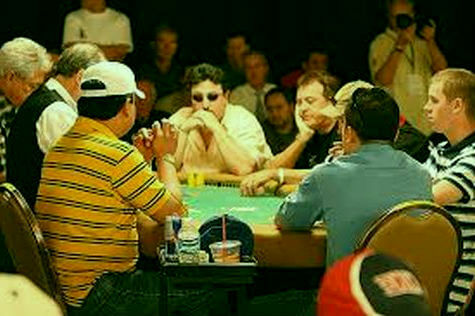 Full Tilt Poker and PokerStars are also two emerging providers, especially among online only players. 888Poker provides a 100% sign up bonus up to $888. William Hill provides 200% with the maximum at $2000. Full Tilt and PokerStars both have 100% bonuses with $600 maximums, with Sky Poker offering 200% up to 500 pounds. These are the top five companies as rated by various independent poker experts. 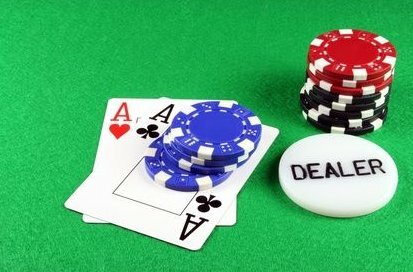 The best part about signing up with one of the major online poker providers is the security and peace of mind you have. These are companies that earn millions of pounds a year, with heavy regulation and scrutiny from the government. The online poker divisions have been active for almost ten years, with plenty of software updates, security upgrades, and algorithm changes ensuring that the system is as perfect as possible. Many players worry about the legitimacy of online poker, where one does not have the benefit of physically watching a dealer whip out the cards for each hand. However, extensive checks and tests are done at all of these providers, ensuring that everything is 100% legal and impartial. Being heavily regulated by government means that there are no legal issues associated with deposits and withdrawals. It is important for players to read the sign up bonus fine print. Most sign up bonuses mean that all of the initial sign up money has to be used to place bets or play games before a first withdrawal can be made. Aside from that, there should be no problems in getting your money in and out. Most sites have the option of credit/debit card deposits, wire transfers, or PayPal/Bitcoin payments. There are no tax issues to worry about when you are taking out your profits from 888Poker or other websites. Since the money you earn is already taxed, placing a tax on poker winnings would mean a double tax, which is not allowed in the European Union. For more information on the top UK online poker websites, click here. It’s good times indeed for online poker. Traffic in online poker for cash games continues to grow. Traffic grew three percent in the last month for online poker games, much of the growth attributed to the $700,000 Milestone Hands promotion from PokerStars. 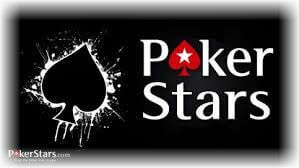 PokerStars is an industry giant when it comes to online poker around the globe. PokerScout says PokerStar increased its ring game traffic by more than 14 percent this year. This ie because players were intrigued by cash bonuses offered for playing a certain number of hands. The promotion was so successful that it’s expected to continue in the future even though it was initially intended to be a short-term promotion. Traffic at PokerStars is estimated to be 10 times greater than its nearest rival, 888poker. With promotions like Milestone Hands that lead is anticipated to increase in 2014. Industry buzz has it that milestone promotions will move to the U.S. soon if PokerStars merges with Amaya Gaming. This partnership will allow for corporate restructuring of Amaya and allow it to enter the U.S. market. Amaya is in charge of Ongame Network. That online poker outlet is ranked nearly 30th in online poker traffic and has experienced a one-third stock price rise in the basis of takeover rumors. This mean that global giant PokerStars may be on the verge of breaking through to the U.S. the company already has moved into a tie with Bodog/Bovada for sixth place in worldwide online poker traffic. Other online poker news revolves around the Equity Poker Network’s failure to expand it’s global reach. EPN lost 5 percent of its online poker traffic this year due to Full Flush Poker and Integer Poker failing to attract a good number of players. This online poker site also lost s=certification in some markets. Historically, poker has always incorporated a number of variables. Some of these variables are statistical (the chances of a particular hand based on the number of decks and players), and some are more intangible (the particular bent or personality of the people you’re playing with). It’s this mix of concrete and abstract that tends to make poker more fascinating than, say, a round on the slot machines. So what’s the attraction in a game of online poker? 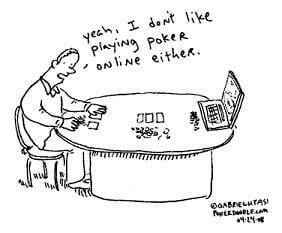 With online poker, you can’t adjudge the character of your opponent, and you can’t estimate whether or not he’s bluffing. You have, essentially, no point of reference to decide whether or not to go all in or retire from the round. But therein lies a supreme advantage. Most of the better poker players out there will be so practiced in the art and skill of bluffing that an online game could in fact save from making an unwise judgment –going all in, perhaps, when you shouldn’t, or retiring from a round when you in fact hold the best hand. Additionally, there are a host of creature comfort benefits. Some users say that they love being able to play in their pajamas and slippers. They say they appreciate the fact that they can roll their eyes and make other gestures of disrespect as and when they feel like without fear that they’re giving some essential clue away about their game. Still others cite how they can dance the funky chicken when they win big without fear of looking like a fool in front of casino personnel. Online poker players have no need to worry about finding parking at a casino and driving home afterwards. They can play as long or as little as they want without noisy cocktail waitresses asking them to order a drink. Importantly, online poker offers players the chance to practice play, and tend to give them a variety of sign-up and renewal bonuses that land-based casinos simply aren’t able to offer. Generally, this is because online establishments have managed to reduce, quite drastically, their operating costs and they readily pass this saving onto their clientele. Finally, it’s a mistake to believe that online poker creates a sterile environment without the buzz and atmosphere of a real game. Many of the better sites have implemented a truly multi-sensory experience to online play, giving users the feeling of gambling at a real table, with a real dealer and real opponents. And if you insist on playing with other live players, many casinos will also offer a live video streaming option with real-time views of other contenders. On balance, online poker is a really fun way of engaging with the game in a safe environment that free from pestering pit bosses, glaring cameras and tipsy patrons. The Ivey League online poker training site has finally gone live after months of anticipation in the poker community. Phil Ivey, a well-respected professional poker player, has been slowly assembling a roster of pros to contribute to the site, and aspiring poker players can now benefit from their extensive experience. The Ivey League poker coaches include Patrick Antonius, Cole “CTS” South, Jennifer Harman and Andrew “Luckychewy” Lichtenberger. The entry-level membership to Ivey League, called “Undergraduate,” is completely free and grants users the ability to post in forums and watch a new poker strategy video each week. The next level up is “Bachelors” and gives access to more videos for $9 per month. The premier membership level, “Masters,” has a monthly fee of $75 and allows subscribers to participate in a monthly Q&A session with a pro. The Masters level also features videos personally produced by Phil Ivey himself. There are special discounts for annual membership. Now 37 years old, Phil Ivey has been playing poker since he was a teenager. He has played in cash games for the highest stakes spread at the Bellagio in Las Vegas. He has won over $17 million in live poker tournaments. But his success is not restricted to the live felt; Ivey is also a dominant player online. According to Highstakesdb.com, he won over $16 million in high-stakes online cash games between 2007 and 2013. Back in 2004, Daniel Negreanu had an unbelievable year. The professional poker player raked in $4.4 million in earnings, won four different titles, and made it to 11 different final tables. That year, he also won the prestigious Card Player of The Year award, as well as the World Series of Poker POY title. Daniel Negreanu had another wildly successful year in 2013, capped by a victory at the World Series of Poker Europe’s no-limit tournament. The tournament, which had over 80 participants, earned the poker pro €25,000. Additionally, Daniel Negreanu brought home his sixth gold bracelet and over $1 million in prize money. Negreanu now stands at third lace on the all-time live tournament earnings list. Besides the title of prize money, the 39-year-old Canadian also learned 672 card player of the year points, which gives him a substantial lead in the Player of The Year award race. Other victories for Negreanu in 2013 include: a main event victory at The World Series of Poker Asia-Pacific. He finished fourth at the European Poker Tour Grand final event, and, just weeks later, placed seventh at the World Poker Tour Championship’s $25,000 main event, which was held at the Bellagio. In total, Daniel Negreanu took home over $3,114,000 in earnings in 2013. To secure the World Series of Poker Europe title, Negreanu competed head-to-head at the final table with Brazilian poker savant, Nicolau Villa-Lobos. On the final hand, Villa-Loubos bet $60,000, and Negreanu raised to $180,000. Villa-Loubos responded by going all-in. Negreanu won the tournament with a jack of spades and jack of diamonds. The dealer flipped over a queen of diamonds, 9 of hearts, 2 of diamonds, king of diamonds, and 3 of clubs. Regulating and licensing online gambling has been an aim of the UK government for a few years. However, they have recently passed a few laws that are a complete game changer for any gambling websites that primarily serve UK clients. In the past the government regulations were a win-win for both sides. Businesses continued to make a lot of money through online gambling, while the UK collected money from these institutions. This decision turns things in favor of the government. They introduced a bill that is designed to get United Kingdom gambling companies to pay their fair share of taxes. These are companies that created offshore bases in tax havens, but continue to serve UK customers for the most part. The bill has passed in all the relevant Houses, and will come into effect within a few months. It means that companies such as Ladbrokes who have basis in tax haven islands will now have a hefty tax bill from next year. The UK’s culture minister, Helen Grant, was very happy about the verdict of this bill. She says that the bill is a victory for the consumers and the government of the UK. She believes that these gambling websites were cheating the system by moving abroad, when a majority of their clients live in the UK. Instead of paying no taxes and taking away huge profits, they should be doing their fair share to help the government. The bill is almost certain to pass and should be in effect by the spring/summer of 2014. More information can be found here: http://www.pokerupdate.com/news/law-and-legislation/uk-gaming-bill-passes-major-test/. 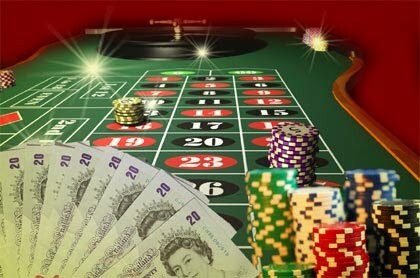 Gambling revenues are currently taxed at a rate of 15% by the UK government. This is a huge amount compared to some other areas, such as Gibraltar, that have little to no taxes. Companies that have their base in Gibraltar will no longer get a free ride from taxes. Some companies are very unhappy about this, and say that the move will eat into their profits. However, there is no doubt that a majority of citizens in the UK will see this as a victory. They already pay their hard earned money to the government in the form of taxes, and there is no reason why companies that generate millions every year cannot follow suit.